To check out the NFC NORTH division breakdown go here. AFC NORTH breakdown go here. NFC South breakdown go here. With the so-called King of the AFC South, chubbzz0727, moving on to the 49ers this year (via random draw) the division could be wide open. Is this DD’s time to finally shine and make some sort of splash into the playoffs or as a division winner? Or are newcomers MR463 (Colts) & cowboys2k9 (Titans) to much for him to overcome, with a Super Bowl title & many playoff appearances between them. Ricoman is always a tough game and could easily battle any of these other teams for a Wild Card spot or even division title, but is Sunshine aka Blaine Gabbert really a NFL QB? Only time will tell, so please feel free to comment below on who you think can win this division, how tough the division is & are there any contenders for a championship in it…..
Who do you think will win this division? Monkey & Kid Life have had a rivalry since Madden 10, playing in the same division in Madden 1o & 12. They have dominated this division with a grand total of 1 Super Bowl Win, 5 Super Bowl Appearances, 15 Division Titles & 17 Playoff Appearances (20 Seasons Played). RJ is an unknown but has a power house of a team & is a wild card. Bosshog is always a tough game and with a team that has a bunch of young talent mixed with old skill, can this be a team able to contend with Christian Ponder at QB. Vote in the comments section about who you think will take this division, if you think there will be multiple playoff teams from this division, if its a weak division, can one of these teams take home a Lombardi Trophy? EA AND ESPN ANNOUNCE CALVIN JOHNSON, JR.
Football season is upon us, yet being a football fan often feels like a punishment if you enjoy technology; streaming of NFL games has lagged behind the NBA, NHL, and MLB in terms of device availability. 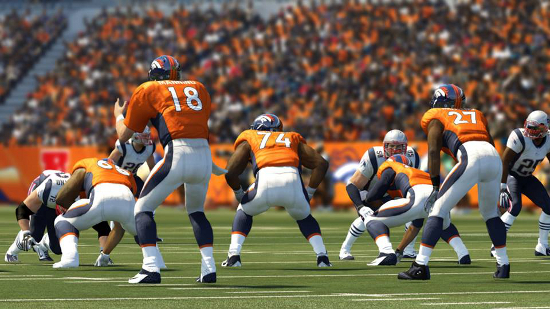 NFL on PS3: You ready? Sony announced today that NFL Sunday Ticket will be available on the PlayStation 3 this season, bringing the only method of viewing all NFL games to a video game console for the first time. The price of adoption isn’t cheap: New customers who aren’t already using DirecTV will have to pay $339.95 for the privilege of streaming a whole season of games. Existing DirecTV customers have to pay $50 to activate the PS3 connectivity. PS3–or, keep the PS3 and TV in a picture-in-picture orientation. Yes, the games will be in full HD, and Red Zone Channel is included. The $340 is $90 more than the price of the newly price-dropped PS3, but for football junkies, at least this is progress. And, not having to pay any extra for DirecTV service or a satellite dish setup sounds like a plus. Madden Curse Already At Work? Hillis sits out with hamstring issue: This is how it starts. Cleveland Browns RB Peyton Hillis was removed from practice on Wednesday as a precaution due to a hamstring issue, coach Pat Shurmur said. But for superstitious fantasy owners, the latest “Madden” cover boy may as well have been standing under a ladder and juggling mirrors as a line of black cats paraded by. Hillis is still the No. 1 running back in Cleveland and that doesn’t figure to change anytime soon. But with Montario Hardesty and Brandon Jackson waiting in the wings to scoop up any extra carries, there is plenty of reason to be concerned that Hillis won’t replicate his 2010 breakout success. Regardless, Hillis (the No. 14 running back on NFL.com’s projections) is still worthy of a being a No. 2 running back in fantasy leagues. Now that the Browns are handling him and his hamstring with tender loving care, you are forgiven if you want to handcuff him to a rabbit’s foot in your draft. 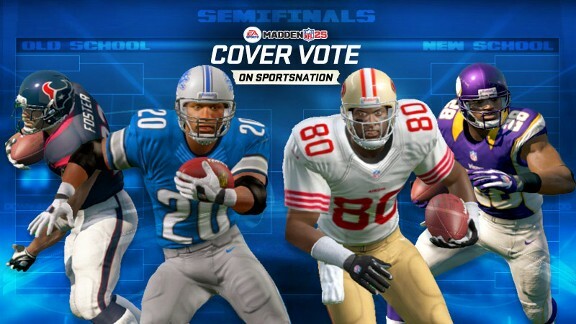 ESPN’s Gamer Blog, in partnership with SportsNation, is counting down the Top 5 players in “Madden NFL 12” at various positions, from the best quarterbacks in the game to the top hitting linebackers. 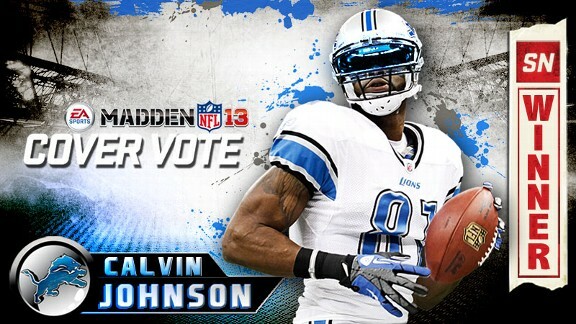 So just who are the best players in “Madden” this year? We kick things off with the guys who get all the glory (not to mention, the supermodels), taking a look at which quarterbacks received the highest overall ratings in the game. Let the debate begin. 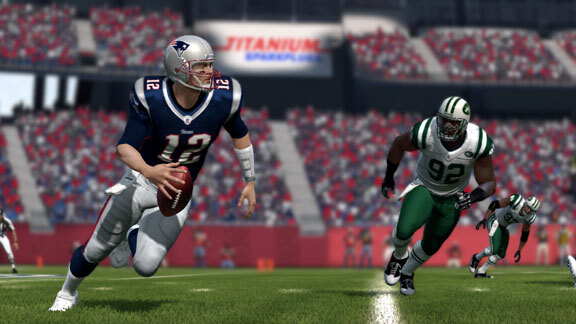 Tom Brady tops the list of "Madden" quarterbacks with a 99 overall rating. Tom Brady is the only quarterback to score a 99 overall this year, also boasting 98 awareness, 95 throwing power, 97 accuracy, 99 stamina, 95 toughness, 98 throwing accuracy short, 96 throwing accuracy middle, and 89 throwing accuracy deep. His only weakness? That 58 speed and 57 acceleration will make it near impossible to avoid the virtual sack. 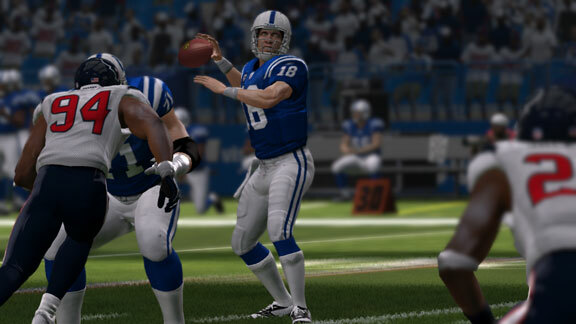 Peyton Manning still has the virtual arm to get it done in the clutch.